Spring ball is just around the corner. 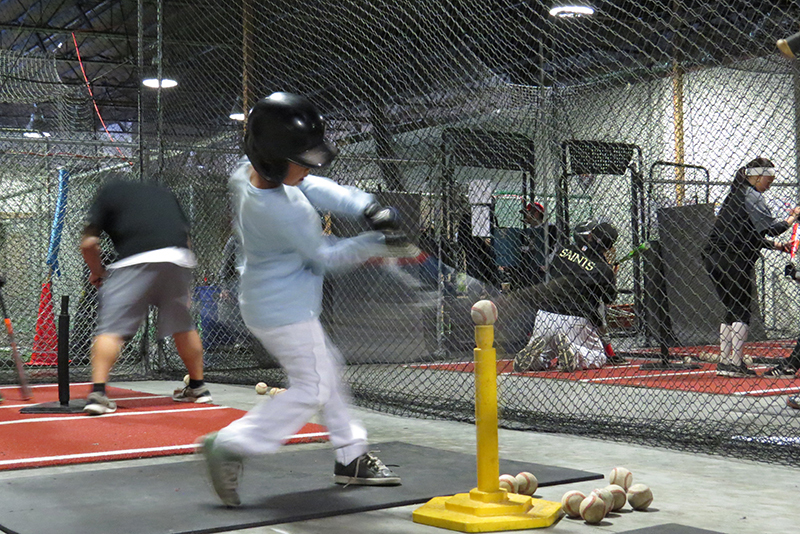 Let us get your child in mid-season form. Why waste precious time during the season “hoping” your child will get better. Let us help you and your child enjoy their season by realizing their full potential. This program is designed to get your child kicked started in the right direction and keep them going till mid-season to ensure the best possible results. a successful player. Players will be grouped by age and ability. 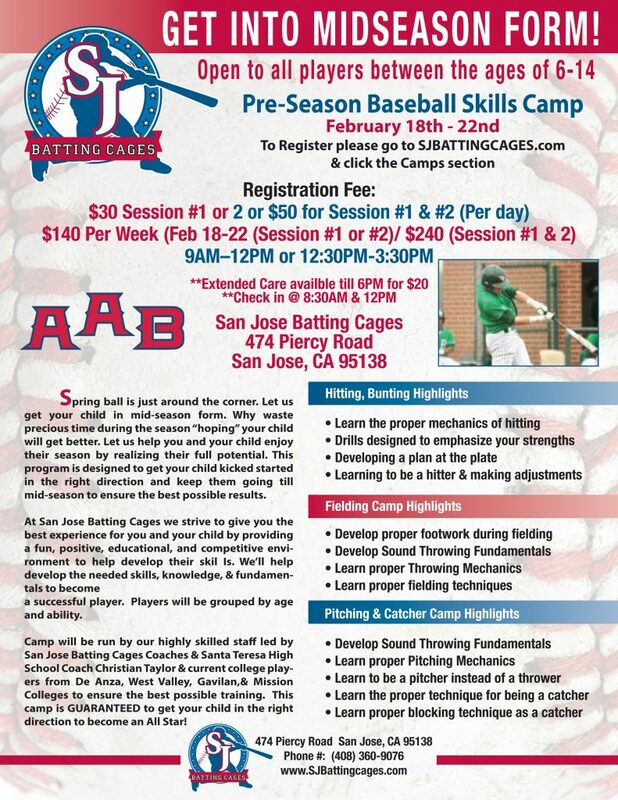 Camp will be run by our highly skilled staff led by San Jose Batting Cages Coaches & Santa Teresa High School Coach Christian Taylor & current college players from De Anza, West Valley, Gavilan,& Mission Colleges to ensure the best possible training. This camp is GUARANTEED to get your child in the right direction to become an All Star!